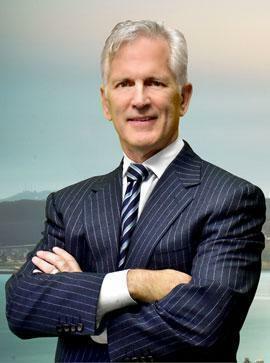 As one of the most accomplished DUI defense attorneys in California, Attorney Paul Burglin serves clients throughout San Francisco and the Bay Area, including Marin County, Napa County, and Sonoma. Mr. Burglin has worked with clients in DUI cases since 1985, and he has represented more than 5,000 people charged with DUI, including serving as lead counsel in more than 120 DUI jury trials. With his successful track record and extensive knowledge of DUI law, he is respected by judges, prosecutors, and DMV hearing officers, who often turn to him if they have a friend or family member who has been arrested for DUI. Since 2004, Mr. Burglin has been the co-author of California Drunk Driving Law, a two-volume treatise that is commonly referred to as "the Bible of DUI defense." As someone who "writes the book" on DUI defense in California, he can provide answers to questions about DUI laws and an extensive understanding of the best defenses for each individual case. Mr. Burglin is a Regent of the National College of DUI Defense (NCDD) and the editor-in-chief of its national Journal. He regularly attends and presents at the NCDD's annual seminar at Harvard Law School, and he is a graduate of a comprehensive course on scientific protocols and chemical testing in DUI cases at the University of Indiana. Paul Burglin serves the needs of decent people who have made potentially serious mistakes, helping them minimize the consequences of a DUI arrest.